Today, is another start of challenge week at SweetStamps. 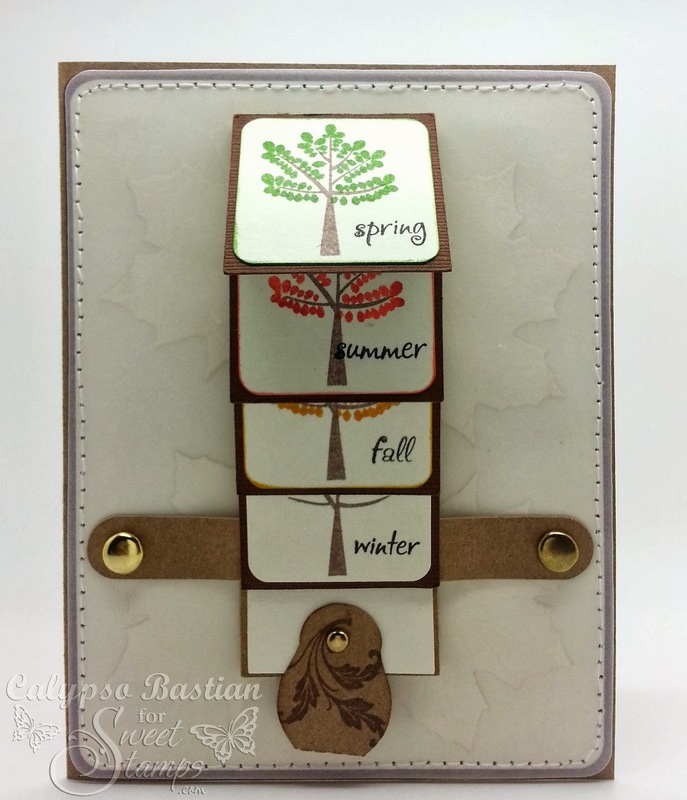 I have been itching to use my new ArtsyfArtsy Stamp: Trees and Leaves 2- Step Stamp set. Once I saw the challenge theme, I knew exactly what I wanted to create!! Before I get into the details, if you look closely you will see leaves in the background. I die cutted these leaves, the same cream color and placed parchment paper on top. It looks so much better in person. I created a waterfall card stamping all 4 seasons and changing the colors of the leaves! LOVE the way it came out and the design of the entire card. So, I hope you have enjoyed my project today and will find inspiration to join us this week. Don't forget we also have our monthly challenge going on. Hi calypso, what a gorgeous card love these waterfall cards. WOW! What a great card. 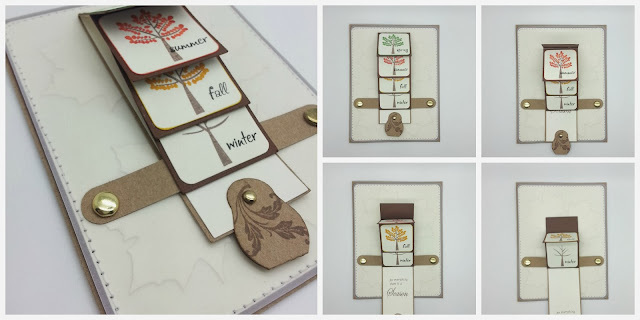 Super cute way to use the stamps. 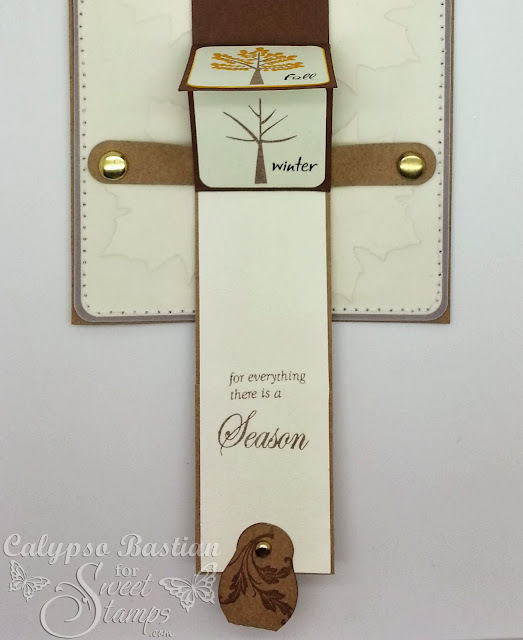 Very nice waterfall card, great job with the seasons. Loving the BG with the parchment over it! Love the 4 seasons with the different leave colors on each scene. Well done Nature card! LOVE this, Calypso! Your design is just wonderful. 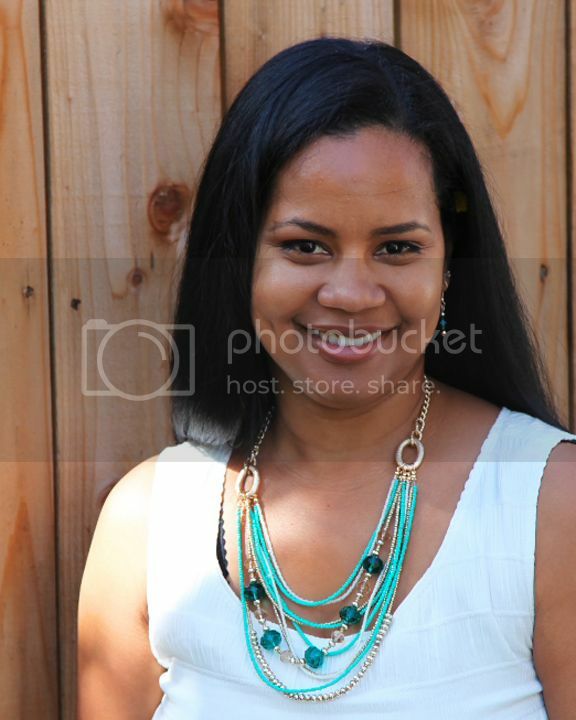 I love this set too! Awesome, love the waterfall design with the 4 seasons and the die cut leaves in the background. AMAZING!! Love your waterfall card! So perfect for the nature theme this week! Lovely job! LOVE it!! Love the die cut leaves in the background! I really like this design - so original and different - and very beautiful!